Legal professional privilege exists in most jurisdictions across the world. However, the scope, application, and nature of the protections afforded to legal professional privilege and confidentiality of communications vary widely. Because of the shared origins and many similarities between the legal systems of the UK, the U.S., Canada and Australia, there tends to be a common perception that the laws on privilege are broadly similar. This is true to a large extent, as – for example – the U.S. attorney-client privilege and work product doctrine are the approximate equivalents of legal advice privilege and litigation privilege in the UK. Nevertheless, there are important and even tricky variations between these four common law jurisdictions, and as you would expect, even more differences and challenges in Europe and other foreign jurisdictions. Accordingly, it is important for in-house counsel to be aware of and knowledgeable of the applicable legal professional privilege laws in all jurisdictions in which their organization operates. The concept of legal professional privilege is well known in common law countries – in particular the U.S., UK, Canada and Australia – where it protects communications between a professional legal adviser (a solicitor, barrister or attorney) and their clients from being disclosed without the permission of the client. The privilege is that of the client and not that of the lawyer. The two most important types of privileged communications is the privilege afforded communications between a lawyer and client to obtain legal advice (referred to as “solicitor-client privilege” in Canada, “attorney-client privilege” in the U.S., “legal advice privilege” in the UK, and “advice privilege” in Australia); and the privilege afforded communications made for the dominant purpose of anticipated or pending litigation (referred to as “litigation privilege” in Canada, the UK, and Australia, and “work product doctrine” in the U.S.). For solicitor-client privilege, which is regarded as a cornerstone of the Canadian legal system, the rationale is that there is a confidential relationship between a lawyer and client, and protecting the confidences of that relationship from compelled disclosure in judicial proceedings is necessary for the relationship and for maintenance of the legal system in society. The privilege emerges from the confidential relationship and from the need for privacy in obtaining and acting on proper and candid legal advice whether or not litigation is involved. 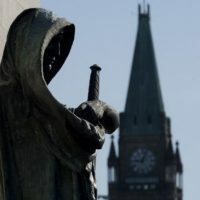 For litigation privilege, the modern rationale in Canada is that the exclusion of the evidence is necessary to facilitate the adversarial system of dispute resolution. Since the fact-finding process is adversarial, the parties need a “zone of privacy” to investigate and prepare for the hearing and resolution of the dispute. The privilege is strongly guarded in common law jurisdictions, and considered to be a principle of fundamental justice and a civil right of supreme importance in Canadian law. Having said that, legal advice privilege can never be used to cloak a deliberate wrong-doing – there being no privilege in documents or communications which are themselves part of a crime or a fraud, and in many foreign jurisdictions this specifically includes money laundering (note: in jurisdictions where privilege may be applicable, governments and regulators are looking to appropriately address in a manner consistent with the rule of law and lawyers’ rules of professional conduct). 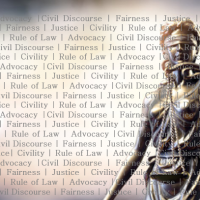 The compelling societal interest and purpose behind legal professional privilege is to protect the client’s ability to access the justice system – by encouraging complete disclosure to legal advisers without the fear that any disclosure of those communications may prejudice the client in the future in either civil, quasi-criminal, or criminal matters. Legal professional privilege is indispensable to the operation of the legal system. In Canada, the U.S., UK, and Australia, privilege for both in-house counsel and external counsel are recognized, and each have the same duty to keep confidential everything they may learn from the corporate client in relation to providing of legal advice and legal services. The fact that a lawyer works as an in-house lawyer for a corporation or government body “does not affect the creation or character of the privilege”. In-house lawyers are “regarded by the law as in every respect in the same position as those who practise on their own account. The only difference is that they act for one client only, and not for several clients. They must uphold the same standards of honour and of etiquette. They are subject to the same duties to their client and to the court. They must respect the same confidences”. Legal professional privilege will therefore attach to a communication where the lawyer – in-house or external – receives or creates the confidential communication in their professional capacity, and for the purpose of the client obtaining professional legal advice. However, the salaried legal advisor must also be professionally independent. 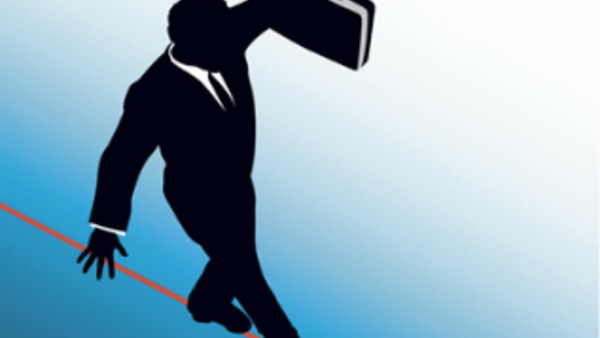 Remaining ethical, independent, and professional in an in-house practice requires a level of personal sacrifice and dissociation from the “business team” not demanded of almost any other corporate player. They have a “duty to their client and their company”, as well as a “higher duty of the rule of law and to act in an ethical way.” Pursuant to the Rules of Professional Conduct – and legal duties imposed by law in some western countries – General Counsel and in-house counsel “have become the moral conscience of the company or government body for which they are working”. Often sitting at the “right hand of their CEOs”, General Counsel and their legal team are expected to play “a strong and necessary independent role”. 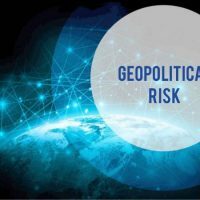 “As both litigation and regulatory investigations become increasingly international, these differences (and their potential consequences) present a significant risk for companies and their legal advisers. Increasingly regulators are indicating impatience with privilege, which makes it all the more important to understand where the true boundaries lie. In-house counsel advising companies operating in multiple jurisdictions are particularly exposed. Negotiating a path through competing and frequently contradictory laws on privilege can throw up very unexpected results: advice that is privileged in the country where it is given may not be protected in other countries where a company operates. Similarly, advice produced by a locally qualified lawyer may be privileged, while the same advice produced by a foreign lawyer practising in the jurisdiction might not be privileged”. These are important issues for multinational and other corporations in Canada, the U.S., the UK and Australia who carry on business in Europe. If the organization exercises the privilege ‘wide of the mark’ there may be numerous long-term consequences for the company. Canadian and foreign clients (banks especially) should be careful about dealing with external lawyers in other countries where privilege is not as strong as in Canada when they contemplate sharing advice or files. The external sharing in other jurisdictions – with more relaxed privilege laws – will weaken and undermine the privileged nature of the communication and relevant documents. Since a decision in 1982, the European Court of Justice does not recognise legal professional privilege for the legal advice of in-house lawyers in the context of antitrust and competition investigations. The European Court considers that an in-house lawyer, despite his or her enrolment with a Bar or Law Society – and the fact that the lawyer is subject to professional ethical obligations – does not enjoy the same degree of independence from their employer as a lawyer working in an external law firm does in relation to their corporate client. The European Commission has used what would otherwise be privileged in-house lawyers’ notes and documentation in EU competition cases. The European law may be seen as unduly restrictive – and possibly counterproductive – in respect to in-house lawyers who are independently regulated by a Bar or Law Society and who are often on the front line in ensuring an organization’s compliance with the law, in particular with respect to how to do business in conformity with the increasingly complex laws that govern business behaviour in foreign jurisdictions. “The impact of the decision is the subject of continuing debate. An Association of Corporate Counsel Member Briefing stated that in “concrete terms the overwhelming majority of potential legal privilege cases or incidents will not be affected by the Akzo ruling at all”, and that the decision “has limited legal effect outside EU competition law investigations conducted by the EC”. However, while the case started as a competition investigation, language in the judgment signals that the same result may be applied beyond the narrow confines of competition law and perhaps to other European Union regulations and institutions. The decision creates a direct conflict with privilege that might otherwise be accorded at a national level to in-house counsel (in England, for example). Further, the European Advocate General’s opinion in the case, though not binding, took the position that privilege does not extend to external counsel who are not admitted to the bar of an EU member state. For practical purposes, then, all communications between Canadian in-house counsel and offices and subsidiaries in European Union member countries are potentially at risk of not being protected by solicitor-client privilege. The Akzo decision could drive company management to ensure that any communications with in-house lawyers about EU competition law are oral, not written. European concerns that protecting communications with company lawyers will somehow hinder law enforcement, by making all documents inaccessible, are not borne out by the Canadian, UK or American experience. Multinational corporations should not be discouraged from looking to the legal advisors most knowledgeable about their businesses for assistance in complying with the laws of the jurisdictions in which they do business. The rules in Canada, the UK, Australia, and the U.S. distinguish carefully between situations where a lawyer is acting as a lawyer and situations where the lawyer acts in a business capacity. Communications in aid of legal advice are protected, and ordinary business communications are not. That rule has been found workable, and from a policy perspective, others could be devised. Compliance with the law of each jurisdiction in which a corporation does business is a cornerstone of good corporate citizenship. The experience of Canadian, American, UK and Australian corporations has generally been that their lawyers serve a crucial role in keeping the company in compliance with the law. These corporations are understandably concerned about the need to comply with laws and regulations as complex as those of Europe without that assistance. 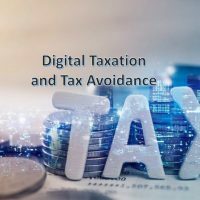 To meet these challenges, most multinational corporations, and certainly most Canadian, UK and American corporations, rely heavily on the advice of lawyers. These lawyers are likely to include both external counsel and in-house legal counsel. Each corporation makes its own judgments about the mix of legal advice its management receives, looking to outside counsel for some of that advice and to its own legal department for other advice. Most U.S., Canadian, and UK corporations tend to look to their company lawyers, who normally have a detailed understanding of the corporation’s business, to make the determination about whether a particular legal problem can be handled by the company lawyers in the corporation’s legal department or would best be referred to an external lawyer. 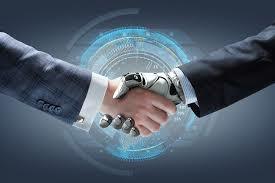 Coordinating business practices around the globe, so that they both respond to the demands of the marketplace and comply with the often-conflicting requirements of different legal systems, requires the advice — often on a daily basis — of legal advisors intimately familiar with the intricacies of a company’s business. In-house lawyers fulfill this role. Although Canadian, UK, U.S. and Australian corporations routinely enlist the aid of external counsel in each of the legal systems in which they operate, corporate executives rely on in-house lawyers both for immediate timely advice and to synthesize and present the advice of external lawyers in the context of making business decisions on a global basis. In-house lawyers are uniquely able to advise how to conform actual business practices to the changing requirements of laws and regulations. Multinational and large corporations are largely of the opinion that no law enforcement agent is as effective at achieving compliance with the law as a corporation’s in-house lawyer. For this reason, many companies establish legal departments that are as heavily staffed as major law firms, with many lawyers having focused expertise in specialized areas of the law. While access to legal advice is indispensable, it is equally important that the advice be confidential and that it be protected. Corporate executives in Canada, the U.S., the UK, and Australia are accustomed to putting the facts fully and forthrightly before their lawyers, in the well-founded belief that only a fully informed lawyer can give fully informed legal advice. They can only do so, however, if they are confident that both their communication to the lawyer of the facts and circumstances as to which advice is needed, and the lawyer’s advice regarding how to deal with those facts and circumstances, will be kept in confidence as privileged communication. Multinational corporations cannot be complacent about the risks posed by the current continental Europe rule, which represents a harsh and adverse feature of the European business environment. For Canadian, U.S., UK and Australian companies operating in Europe, General Counsel should review their compliance policies and reassess their use of and communication with in-house lawyers. If written advice is required on EU competition law matters, organizations should consider retaining and instructing external counsel. When seeking external legal advice the internal document should be exclusively drawn up for that purpose and marked accordingly. Appropriate governing law for agreements, and appropriate jurisdiction to store documents, should be considered and selected. Canadian corporations (or U.S., UK, Australian as the case may be) and their lawyers should carefully evaluate sharing privileged information with non-Canadian affiliates. Some legal scholars are suggesting that the growing integration of in-house lawyers with business leaders has threatened to turn the in-house lawyer into just another “consultant” who values the “appearance of independence” as opposed to any real commitment to public purposes or detachment from client aims. These are large and difficult questions (which require continued empirical research on the changing role of in-house counsel in the United States, Canada, the UK, and around the world), however, for the purpose of this article, we can recognize that hierarchical and cultural pressures are especially pronounced if the business partners that in-house lawyers work with closely also have the authority to terminate the General Counsel or in-house lawyer. Although a General Counsel may be formally appointed by the board of directors, in reality it is recognized that his or her tenure is usually dependent on his or her relationship with the CEO. To establish good governance, trust and support – although ultimately a CEO decision – the Board should be involved in the selection of the General Counsel. To provide the appropriate support (tone from the top) of the General Counsel’s position and independence, “the Board plays an important role by providing checks and balances on the reasoning behind a General Counsel’s hiring or termination”. An important issue – and challenge – is the question of the General Counsel and their in-house lawyers’ independence. Is in-house counsel or external counsel more likely to have the independence to tell senior management or the CEO or the Board of Directors what they may not want to hear? Both lawyers are in the first instance officers of the court and bound by their Rules of Professional Conduct to maintain their independence. 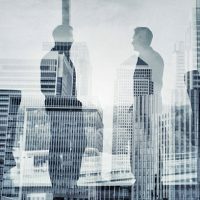 Whether General Counsel or other in-house lawyer is acting in their legal capacity or in a business capacity, the Rules of Professional Conduct apply to guide – and appropriately restrict – the in-house counsel’s conduct. The Canadian Federation of Law Societies Model Code of Professional Conduct and the Law Society of Upper Canada’s (Ontario) Rules of Professional Conduct pertaining to independence (and indeed to all other matters) carve out no exemption for in-house counsel. Integrity – A lawyer has a duty to carry on the practice of law and discharge all responsibilities to the client and the public honourably and with integrity”. A lawyer has special responsibilities by virtue of the privileges afforded the legal profession and the important role it plays in a free and democratic society and in the administration of justice. Honesty and candour – When advising the client, a lawyer shall be honest and candid. “The advice must be open and undisguised and must clearly disclose what the lawyer honestly thinks about the merits and probable results”. In-house counsel act for the organization and owe professional obligations to the organization, not to any executive or other corporate officer, employee, agent or representative of the company. The organization is the client and “has a legal personality distinct from its shareholders, officers, directors, and employees”. Avoid conflict of interest – A lawyer shall avoid conflicts of interest with their client (i.e. the existence of a substantial risk that a lawyer’s loyalty to or representation of the corporate client would be materially or adversely affected). Avoid “knowing” assistance re dishonesty etc. – A lawyer shall not knowingly assist in or encourage any dishonesty, fraud, crime, or illegal conduct or instruct a client or any other person on how to violate the law and avoid punishment. This applies whether the lawyer’s knowledge is actual or in the form of wilful blindness or recklessness. Avoid “ought to know” facilitation re dishonesty etc. – A lawyer shall not act or do anything or omit to do anything in circumstances where he or she ought to know that, by acting, doing the thing or omitting to do the thing, he or she is being used by the corporate client, by a person associated with a client, or by any other person to facilitate dishonesty, fraud, crime or illegal conduct. Up-the-ladder reporting – In circumstances where in-house counsel find themselves aware of information regarding wrongdoing by the organization (i.e. fraud and other corporate misconduct), in-house counsel must disclose this material information to the organization. This is initiated when a lawyer “knows” that the organization “has acted, is acting, or intends to act dishonestly, fraudulently, criminally, or illegally”. Includes acts of omission likely to result in substantial harm to the organization. It is in the organization’s and public’s interest that organizations do not violate the law – in-house counsel (and in particular General Counsel and Chief Legal Officers) must guide organizations to act in ways that are legal, ethical, reputable, and consistent with the organization’s responsibilities to its constituents and to the public”. First step on ladder: “advise the person from whom the lawyer takes instructions and the chief legal officer, or both the chief legal officer and the chief executive officer, that the conduct is, was or would be dishonest, fraudulent, criminal, or illegal and should be stopped”. Second step on ladder: “if necessary because the person from whom the lawyer takes instructions, the chief legal officer or the chief executive officer refuses to cause the conduct to be stopped, advise progressively the next highest persons or groups, including ultimately, the board of directors, the board of trustees, or the appropriate committee of the board, that the conduct was, is or would be dishonest, fraudulent, criminal, or illegal and should be stopped”. Third step on ladder – “withdrawal”: “if the organization, despite the lawyer’s advice, continues with or intends to pursue the wrongful conduct, withdraw from acting in the matter in accordance with rules in Section 3.7”. For in-house counsel this effectively means resigning from his or her position with the organization, as opposed to simply withdrawing from acting in a particular matter, and determining whether it is: (a) feasible and appropriate to give any advice in writing, and (b) required and justified to disclose confidential information to the appropriate authorities (the general rule of strict confidence for client information is subject to only a few exceptions in Canada – i.e. by law, order of a tribunal of competent jurisdiction, client authorization, imminent physical harm). Adherence to the applicable jurisdiction’s Rules of Professional Conduct for lawyers. In particular, (a) in-house lawyers’ professional and ethical duties and responsibilities owed to the corporation (as the client); and (b) exercise of independent professional judgment by in-house on behalf of the corporation. Independence and reporting (i.e. ‘up the ladder’ reporting). Separate identifiable legal department and office space, with its own set of files and administrative staff and support system, with lines of supervision and control by senior lawyers. Persons responsible for employment review and promotion of legal department personnel should be managing lawyers and operational managers within the legal department. In-house counsel are under the microscope and regulators in many jurisdictions expect such lawyers to act as “gatekeepers” to prevent fraud and misconduct by corporate organizations. 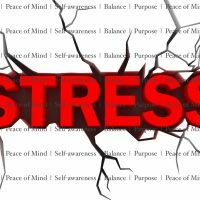 The bottom-line is that the General Counsel and in-house lawyers must not be willfully blind, or otherwise assist in a crime or fraud or similar misconduct, and may be required to act to take steps to prevent bodily harm (i.e. Canada) or financial harm (i.e. U.S.). Depending upon the jurisdiction (U.S., Canada, UK, Australia, etc. ), if there is a legislative disclosure requirement then this must be done and the organization advised accordingly. In most western jurisdictions, in particular in the U.S. and Canada, the lawyer’s Law Society discipline jurisdiction does not oust the power of Regulators to regulate lawyers’ conduct that is also subject to an applicable regulatory scheme (i.e. securities industry). It is important for General Counsel or the Chief Legal Officer to ensure their in-house legal department is setting the right legal, ethical and cultural tone. Ethics is one of the most challenging issues facing General Counsel and their team of in-house lawyers. The 2017 Association of Corporate Counsel’s Chief Legal Officers Survey identifies ethics and compliance as the number one concern. Corporate clients require “courage” from their General Counsel and legal team – in this respect, “no lawyer should turn to [an] in-house practice unless he or she has the capability and willingness to push back against unethical behaviour” – an in-house lawyer that is not prepared to be a “vocal advocate for zero tolerance” becomes part of the problem. However, leadership and support from the Board of Directors (and ideally the CEO and senior management) is key to the independence of the General Counsel and the in-house legal team, and their success on behalf of the corporation as trusted legal advisers and guardians. There is always a risk that an organization may lose a privilege claim over documents assumed to be privileged. The issue of whether legal professional privilege attaches to communications or documents generated in an organization that employs a General Counsel and an in-house legal department has been considered many times by the courts as this “is an area that often raises issues about the circumstances in which the advice was given and the independence of the lawyers working in-house who provide that advice. Where in-house counsel wear more than one hat, the lines between legal and commercial activities can become blurred”. Know the applicable laws in the relevant jurisdiction(s) regarding the solicitor-client privilege. All in-house counsel within an organization should know and understand the basic principles and law. Understand that outside Canada, the U.S, UK, and Australia, privilege issues get particularly complicated (and there are differences within these common law jurisdictions as well). Be careful with respect to what might be a privileged communication. In particular, be aware that communicating with foreign counterparts may result in a loss of privilege if proceedings are commenced in the foreign jurisdiction. Where a lawyer has both legal and policy/business capacities, ensure that documents providing legal advice are signed with reference only to his or her legal capacity. Position titles that emphasize a legal role are better than those that emphasise non-legal roles. Ensure that all documents (including e-mails) bear a heading that reads along the lines of “Privileged and Confidential Legal Advice – Do Not Copy or Transmit,” or “Lawyer Client Communication – For Purpose of Legal Advice, Do Not Copy or Transmit”. Keep the communication confidential. Where possible, limit circulation of legal advice and privileged communication within the corporation to those that need to know. Where that is not possible or desirable, ensure that the recipients understand the importance of keeping the advice confidential, at a minimum, by marking the documents as such. Do not attach legal advice to “public records”. To the extent possible employees should segregate legal documents from policy/business documents, and mark them as “privileged and confidential files”. Ideally, the in-house legal department and lawyers should be situated in a separate restricted office area. If this is not possible, files must be kept secure, and access restricted to the legal team. Use legal department letterhead rather than general letterhead. If legal advice is sought in an email or a memorandum, the business should be educated to put the in-house lawyer in the “to” line as opposed to the “cc” line so that the lawyer is the primary recipient of the communication. Notwithstanding positive indications questioning the concept of independence as a standalone requirement, if challenged before a court on the current state of the law it remains prudent to tender evidence of the structure and independence of the in-house legal function. The General Counsel should preferably report to the CEO, as distinct from operational personnel. Write smart regardless of the level of confidence that the solicitor-client privilege applies. Always anticipate that anything written may ultimately end up on the front page of the leading newspaper in your jurisdiction. Train the business on all of the above and find teachable moments when the in-house legal department identifies something that may jeopardize privilege, or is not a proper use of the privilege. Protecting the solicitor–client and litigation privilege in the in-house environment requires sound policies and procedures, a properly trained legal department and workforce, and constant vigilance. The solicitor-client privilege is a valuable asset for individuals and corporations in Canada, the U.S., UK and Australia, and should be treated as such. Legal professional privilege exists in most jurisdictions but its scope and application varies widely. As laws and regulations (i.e. money laundering, financial system integrity), litigation, and regulatory investigations become increasingly international, these differences (and their potential consequences) present a significant risk for companies and their in-house legal departments. In-house counsel advising companies operating in multiple jurisdictions are particularly exposed. Negotiating a path through competing and frequently contradictory laws on privilege can throw up unexpected results, and as such, in-house counsel should know and understand the basic principles and law regarding legal professional privilege in all jurisdictions in which their organization operates. There are differences in the law between Canada, the U.S, UK, and Australia, and outside of these common law jurisdictions privilege issues can get particularly problematic. At the European Union level, as well as under the laws of many of its member states, corporate clients continue to be deprived of the ability to obtain confidential and privileged advice from the legal advisors in the best position to advise them about the impact of laws and regulations on their business activities: the in-house lawyers familiar with the organization’s business. The net effect may well be to make it more difficult for these corporations to comply with the law. From the perspective of the corporate client, the monopoly on legal privilege that is effectively bestowed on European law firms by the continental European rule is both inefficient and counterproductive, potentially impeding compliance with complex regulatory regimes. Companies must be cognizant when operating or doing business in Continental Europe that they may not be able to look to their company lawyers in confidence for frank legal advice about how to conduct the corporation’s business in compliance with the law. From a policy perspective, the European Union’s regulatory objectives may not be well served by the rule. Increasingly governments and regulators across many jurisdictions appear to be indicating a certain level of impatience with privilege, which makes it all the more important to understand where the true boundaries lie. In-house counsel must always be aware that the concept of legal privilege differs across jurisdictions around the world, creating significant risks for corporations and their legal advisers. Nilam Sharma, UK and US Privilege: Comparison and Contrast, ABA Section of Litigation Insurance Coverage Litigation Committee CLE Seminar, March 3-5, 2011; Dr. Ronald J. Desiatnik, Legal Professional Privilege in Australia, Third Edition, 2016; Presnell on Privileges: latest developments on evidentiary privileges for corporate and outside counsel, presnellonprivileges.com; McGuire Woods Privilege Points, mcguirewoods.com; Legal professional privilege for in-house lawyers: toolkit (UK), Practical Law Dispute Resolution, Thomson Reuters (uk.practicallaw.thomsonreuters.com); FAQ – Privilege and Confidentiality for In-House Counsel, Canadian Bar Association, cba.org; Robert Hubbard, Susan Magotiaux and Suzanne Duncan, Law of Privilege in Canada, 2 volumes looseleaf service since 2006; Paul Perrell (Ontario Superior Court Justice), A Privilege Primer, May 2006; John Logan and Michael Dew, Overview of Privilege and Confidentiality, Continuing Legal Education Society of British Columbia, June 2011; Hon. Justice John Gilmour, Legal Professional Privilege: Current Issues and Latest Developments, Law Society of Western Australia seminar, March 13, 2012; Bankim Thanki QC, editor, The Law of Privilege, Second edition, 2011; Legal Professional Privilege, Global Guide, 4th edition, DLA Piper, 2017; Legal Professional Privilege, European Company Lawyers Association, www.ecla.org; Anti-Money Laundering Forum, Lawyers and Money Laundering: 5.1 FATF Recommendations on Lawyers, International Bar Association, anti-moneylaundering.org. Diana Good, Patrick Boylan, Jane Larner, and Stephen Lacey, Privilege: a world tour, Thomson Reuters Practical Law, November 18, 2004. In Canada, it is indisputable that solicitor-client privilege is fundamental to the proper functioning of our legal system and a cornerstone of access to justice. Lawyer-and-client privilege concerns communications between a lawyer and their client. In order to ensure public confidence in the legal system and the effectiveness of the privilege, lawyer-client privilege is categorical and approaches an absolute right. To qualify for lawyer-and-client privilege, a communication must be: (1) between a client and his or her lawyer who must be acting in a professional capacity as a lawyer; (2) given in the context of obtaining legal advice; and (3) intended to be confidential. Whether or not there is anticipated litigation, a communication prepared for the purposes of obtaining legal advice may be privileged. For the communication to be privileged, the person receiving the communication must be a lawyer. The privilege applies even if the lawyer does not practice law in the jurisdiction where the client resides or carries on business. Where a lawyer acts for a multi-jurisdictional client, legal advice and communications about the law in places where the lawyer is not qualified to practice do not lose their privilege. For the privilege to attach, the lawyer must be acting in his or her role of a lawyer. No lawyer-client privilege attaches to advice on purely business matters even where it is provided by a lawyer. Communications with a lawyer who is employed as in-house lawyer will qualify for the lawyer-and-client privilege where the constituent elements for the privilege are satisfied. Communications with an in-house counsel will not be privileged if the in-house lawyer is acting in a non-lawyer capacity – but, for example, as a business executive or other non-legal capacity. Government lawyers who provide both legal advice and policy advice are in a similar situation, and their communications to their employer will not be privileged if the advice is outside of a lawyer-and-client relationship. The confidentiality of communications between solicitor and client may be raised in any circumstances where such communications are likely to be disclosed without the client’s consent. Unless the law provides otherwise, when and to the extent that the legitimate exercise of a right would interfere with another person’s right to have his communications with his lawyer kept confidential, the resulting conflict should be resolved in favour of protecting the confidentiality. When the law gives someone the authority to do something which, in the circumstances of the case, might interfere with that confidentiality, the decision to do so and the choice of means of exercising that authority should be determined with a view to not interfering with it except to the extent absolutely necessary in order to achieve the ends sought by the enabling legislation. 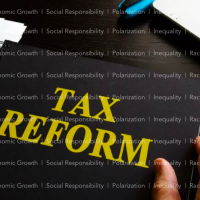 Acts providing otherwise in situations under paragraph 2 and enabling legislation referred to in paragraph 3 must be interpreted restrictively. Solicitor-client privilege belongs to the client, not to the lawyer. Solicitor-client privilege has evolved from a rule of evidence to a rule of substance. Some even suggest that the Court has granted it a quasi-constitutional status. In its modern form, solicitor-client privilege is not merely a rule of evidence; it is “a rule of evidence, an important civil and legal right and a principle of fundamental justice in Canadian law”. See: Alberta (Info. and Priv. Comm.) v. Univ. of Calgary, 2016 SCC 53,  2 S.C.R., para. 34, 41 etal; Paul Perrell (Ontario Superior Court Justice), A Privilege Primer, May 2006; Descôteaux v. Mierzwinski,  1 S.C.R. 860; R. v. Campbell,  1 S.C.R. 565; Gower v. Tolko Manitoba Inc. (2000), 196 D.L.R. (4th) 716 (Man. C.A. ); Mutual Life Assurance Co. of Canada v. Canada (Deputy Attorney General) (1988), 28 C.P.C. (2d) 101 (Ont. H.C.J. ); Hartz Canada Inc. v. Colgate-Palmolive Co. (1987), 27 C.P.C. (2d) 152 ; Re Duncan; Garfield v. Fay,  2 All E.R. 395; Morrison-Knudsen Co. Inc. v. British Columbia Hydro & Power Authority (1971), 19 D.L.R. (3d) 726 (B.C.S.C. ); R. v. Campbell,  1 S.C.R. 565 para. 50; Stephen Scholtz and Anthony Alexander, Legal Privilege: The Unique Challenges and Opportunities Facing Corporate Counsel, Davies Academy, December 7, 2016; Robert Harrison, Paul Monahan and Vera Toppings, Privilege Issues for In-House Counsel: The Current State of the Law, Fasken Martineau Symposium, April 27, 2011; In-house Counsel and the Attorney-Client Privilege (Canada – Federal), Lex Mundi Publication, 2009; Paul Stone and Camilla Macpherson, Legal Professional Privilege, DLA Piper.com (England and Wales), January 15, 2016; Melony Franklin, Privilege Issues for In-House Counsel, Borden Ladner Gervais, June 9, 2011; Paul Dean, The Law of Privilege – Issues for In-house Legal, International Commerce, Holman Fenwick Willan, June 2013; Andrew Wilkinson, The Law of Privilege in Canada, McCarthy Tetrault, April 13, 2011; Alfred Crompton Amusement Machines Ltd. v. Commissioners of Customs and Excise (No. 2),  2 Q.B. 102, affd. A.C. 405 (H.L. ); Alberta (Info. and Priv. Comm.) v. Univ. of Calgary, 2016 SCC 53,  2 S.C.R., para. 34. Also see, Canada (Privacy Commissioner) v. Blood Tribe Department of Health, 2008 SCC 44,  2 S.C.R. 574, para. 9; R. v. McClure, 2001 SCC 14,  1 S.C.R. 445, para. 2; Smith v. Jones,  1 S.C.R. 455, at para. 46; Pritchard v. Ontario (Human Rights Commission), 2004 SCC 31,  1 S.C.R. 809, para. 17; Alberta (Info. and Priv. Comm.) v. Univ. of Calgary, 2016 SCC 53,  2 S.C.R., para. 40. Also see, Descôteaux v. Mierzwinski,  1 S.C.R. 860, page 875; Lavallee, Rackel & Heintz v. Canada (Attorney General), 2002 SCC 61,  3 S.C.R. 209, para. 49. Litigation privilege gives rise to an immunity from disclosure for documents and communications whose dominant purpose is preparation for litigation. The classic examples of items to which this privilege applies are the lawyer’s file and oral or written communications between a lawyer and third parties, such as witnesses or experts. Litigation privilege is a common law rule of English origin. It was introduced to Canada in the 20th century as a privilege linked to solicitor‑client privilege. Litigation privilege is not directed at communications between solicitors and clients as such. Litigation privilege differs from solicitor-client privilege in that its purpose is to facilitate a process – the adversary process – as opposed to a relationship. Litigation privilege, “unlike the solicitor‑client privilege, is neither absolute in scope nor permanent in duration”, ending when the litigation or its contemplation ends. Moreover, the SCC has confirmed that only those documents whose “dominant purpose” is litigation (and not those for which litigation is a “substantial purpose”) are covered by the privilege. The Court noted that the concept of “related litigation”, which concerns different proceedings that are brought after the litigation that gave rise to the privilege, may extend the privilege’s effect. There are also similarities. The two privileges “serve a common cause – the secure and effective administration of justice according to law”. More specifically, litigation privilege serves that cause by “ensur[ing] the efficacy of the adversarial process” and maintaining a “protected area to facilitate investigation and preparation of a case for trial by the adversarial advocate”. See: Lizotte v. Aviva Insurance Company of Canada, 2016 SCC 52,  2 S.C.R. 521, para. 19, 21-24, 36; Blank v. Canada (Minister of Justice), 2006 SCC 39,  2 S.C.R. 319, para. 1, 27, 28, 32, 34, 36, 37, 38-41, 60; J.C. Royer and S. Lavallée, La preuve civile (4th ed. 2008), at pp. 1009‑10; Paul Perrell (Ontario Superior Court Justice), A Privilege Primer, May 2006. Nilam Sharma, UK and US Privilege: Comparison and Contrast, ABA Section of Litigation Insurance Coverage Litigation Committee CLE Seminar, March 3-5, 2011; Legal Professional Privilege, Practice Note, The Law Society of England and Wales, lawsociety.org.uk, February 23, 2017; Legal Professional Privilege: England and Wales, DLA Piper, August 27, 2017; Legal Professional Privilege: Canada, DLA Piper, August 27, 2017; Legal Professional Privilege: United States, DLA Piper, August 27, 2017; Legal Professional Privilege: Australia, DLA Piper, August 27, 2017; Hon. Justice John Gilmour, Legal Professional Privilege: Current Issues and Latest Developments, Law Society of Western Australia seminar, March 13, 2012; Dr. Ronald J. Desiatnik, Legal Professional Privilege in Australia, Third Edition, 2016. Paul Perrell (Ontario Superior Court Justice), A Privilege Primer, May 2006; R. v. McClure,  1 S.C.R. 445 at para. 2; Greenough v. Gaskel (1883), 1 My. & K. 98, 39 E.R. 618; R. v. Gruenke (1991), 67 C.C.C. (3d) 288 (S.C.C.) at p. 305; R. v. Campbell,  1 S.C.R. 565, para. 49; Gower v. Tolko Manitoba Inc. (2000), 196 D.L.R. (4th) 716 (Man. C.A. ); Wendy Matheson and Sandra Perri, The law of litigation privilege: the Supreme Court of Canada’s ruling in Minister of Justice v. Blank and beyond, Lexology, March 3, 2008. Paul Perrell (Ontario Superior Court Justice), A Privilege Primer, May 2006; Wendy Matheson and Sandra Perri, The law of litigation privilege: the Supreme Court of Canada’s ruling in Minister of Justice v. Blank and beyond, Lexology, March 3, 2008. Lavallee, Rackel & Heintz v. Canada (Attorney General), 2002 SCC 61,  3 S.C.R. 209. Canada is under increasing international pressure to include lawyers in its anti-money-laundering and terrorist-financing system, setting the stage for a new confrontation between the federal government and Canada’s law societies in coming months. In 2016, an evaluation by the international Financial Action Task Force identified the absence of lawyers and Quebec notaries as a “significant loophole” in Canada’s anti-money-laundering monitoring system. Finance Minister Bill Morneau has already quietly decided that lawyers should be part of Canada’s anti-money-laundering and terrorist-financing system. Now that the decision has been made, finance department officials are working behind the scenes on proposals to bring to Morneau in the coming weeks. While Canada has five years to fix the problems identified in the FATF report if it wants to remain in good standing, it has to present a progress report by October. Meunier says Canada is an international outlier when it comes to applying rules to prevent money laundering to the legal profession, but other countries have found ways to include lawyers in anti-money-laundering regimes without jeopardizing solicitor-client privilege. For example, lawyers aren’t subject to an anti-money-laundering regime in the United States, but they are in the United Kingdom, he says. “In Canada and the US, lawyers are not subject to anti-money laundering reporting obligations like they are in most other countries. One of the most frequent reasons given for this by lawyers is that to require us to report certain financial transactions to a financial intelligence unit is inconsistent with, and would undermine, legal privilege. Also see: Anti-Money Laundering Forum, Lawyers and Money Laundering: 5.1 FATF Recommendations on Lawyers, International Bar Association, anti-moneylaundering.org (“significant impact on legal professional privilege for all lawyers operating within the European community”); Mesay Tsegaye, The Scope of Legal Professional Privilege and the Role of Lawyers in Anti Money Laundering and Combatting Financing of Terrorism – the Case of Ethiopia, Abyssinia Law.com, June 15, 2016 (“the danger posed by money laundering to the financial system integrity and the world economic development and its significant linkage with the financing of terrorism further justifies putting a limitation on the applicability of legal professional privilege and confidentiality. In this regard, the FATF Recommendations encourage countries in combating ML/TF, to take measures that require lawyers and other independent legal professionals to report suspicious transactions to the appropriate regulatory organs in certain fields of transactions”); Nicholas Nehamas and Rene Rodriguez, Feds widen hunt for dirty money in Miami real estate, Miami Herald, August 23, 2017; Legal Professional Privilege in England and Wales, Wikipedia (“The Proceeds of Crime Act 2002 (PoCA) requires solicitors (and accountants, insolvency practitioners, etc.) who suspect their clients of money laundering (in effect any handling or involvement with any proceeds of any crime, or monies or assets representing the proceeds of crime, can be a money laundering offence in English law) to report them to the authorities without telling the clients they have done so, subject to a maximum punishment of 5 years in jail. However, the Court of Appeal confirmed in 2005 that PoCA does not override legal professional privilege”); Legal Professional Privilege, My Lawyer.co.uk, 2017 (“If a lawyer suspects he is unwittingly being involved by his client in a fraud, the courts require prima facie evidence before LPP can be displaced. The sufficiency of that evidence depends on the circumstances: it is easier to infer a prima facie case where there is substantial material available to support an inference of fraud. 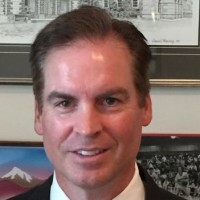 While a lawyer may decide himself if prima facie evidence exists, he may also ask the court for directions”); Law Society’s Money Laundering Task Force chair to advise emcompass corporation, Legal Futures (UK), August 24, 2017; Sean Fine, Lawyers win exemption from money-laundering law, Globe and Mail, February 13, 2015 (citing Canada (AG) v. Federation of Law Societies of Canada, 2015 SCC 7); Sam Cooper, Ottawa will attempt to close money-laundering loophole, Vancouver Sun, October 6, 2016. Paul Perrell (Ontario Superior Court Justice), A Privilege Primer, May 2006 [www.lsuc.on.ca/WorkArea/DownloadAsset.aspx?id=11517]; M. (A.) v. Ryan,  1 S.C.R. 157 at para. 19; General Accident Assurance Co. v. Chrusz (1999), 45 O.R. (3d) 321 (C.A.) at pp. 330–32, 346–49. Legal Professional Privilege, European Company Lawyers Association, www.ecla.org. R (Morgan Grenfell & Co. Ltd.) v. Special Commissioner for Income Tax,  UKHL 21, para 7. Stephen Scholtz and Anthony Alexander, Legal Privilege: The Unique Challenges and Opportunities Facing Corporate Counsel, Davies Academy, December 7, 2016. See, Akzo Nobel Chemicals Ltd v. Commission, Court of Justice of the European Union 2010, Case C-550/07, September 14, 2010. Stephen Scholtz and Anthony Alexander, Legal Privilege: The Unique Challenges and Opportunities Facing Corporate Counsel, Davies Academy, December 7, 2016; Global Practice Guide: In-House Counsel and the Attorney-Client Privilege Global Practice Guide, LexMundi, 2014; Robert Harrison, Paul Monahan and Vera Toppings, Privilege Issues for In-House Counsel: The Current State of the Law, Fasken Martineau Symposium, April 27, 2011; Paul Stone and Camilla Macpherson, Legal Professional Privilege, DLA Piper.com (England and Wales), January 15, 2016; Melony Franklin, Privilege Issues for In-House Counsel, Borden Ladner Gerais, June 9, 2011; Paul Dean, The Law of Privilege – Issues for In-house Legal, International Commerce, Holman Fenwick Willan, June 2013; Hon. Justice John Gilmour, Legal Professional Privilege: Current Issues and Latest Developments, Law Society of Western Australia seminar, March 13, 2012. It is well accepted that privilege may apply to legal communication involving an employed lawyer. The in-house lawyer need not hold a practicing certificate in the jurisdiction in which the claim for privilege is made. However, following references to ‘independence’ by the High Court in its seminal decision, it has often been held that to substantiate a claim of privilege an in-house counsel must ‘act independently of any pressure from his employer’, without influence or loyalty and with ‘professional detachment’. The absence of interference in the legal function by management. A failure to lead evidence of this nature may be fatal to a claim of privilege, notwithstanding that a qualified lawyer is entitled to a presumption of independence. (b) the retained lawyer will act as the client’s lawyer in relation to the matter. Paul D. Paton, Corporate Counsel as Corporate Conscience: Ethics and Integrity in the Post-Enron Era, Canadian Bar Review, Vol. 84, page 533, 2006. Felicity Nelson, Triggs: In-house counsel should be corporate world’s ‘moral compass’, Lawyers Weekly (Australia), March 5, 2015. For example: Canada – Federation of Law Societies of Canada, Model Code of Professional Conduct; Law Society of Upper Canada, Rules of Professional Conduct (Ontario); United States – American Bar Association, Model Rules of Professional Conduct ; United Kingdom – Solicitors Regulation Act, SRA Code of Conduct 2011; Australia – Law Council of Australia, Australian Solicitors’ Conduct Rules (August 2015) – in place in Victoria, New South Wales, Queensland, South Australia and the Australian Capital Territory, with some minor variations between States. Felicity Nelson, Triggs: In-house counsel should be corporate world’s ‘moral compass’, Lawyers Weekly (Australia), March 5, 2015. 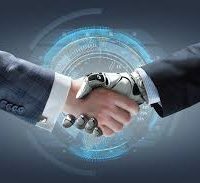 Also see, Eric Sigurdson, General Counsel and In-House Legal as Corporate Conscience: an evolutionary crossroads in the age of disruption, Sigurdson Post, June 29, 2017. Andrew Shute and Matthew Payten (Australia), In-house counsel update: legal professional privilege – independence declines and the purposes dominates, Lexology, June 30, 2015. Legal Professional Privilege, European Company Lawyers Association, www.ecla.org; Stephen Scholtz and Anthony Alexander, Legal Privilege: The Unique Challenges and Opportunities Facing Corporate Counsel, Davies Academy, December 7, 2016; Global Practice Guide: In-House Counsel and the Attorney-Client Privilege Global Practice Guide, LexMundi, 2014; Robert Harrison, Paul Monahan and Vera Toppings, Privilege Issues for In-House Counsel: The Current State of the Law, Fasken Martineau Symposium, April 27, 2011; Paul Stone and Camilla Macpherson, Legal Professional Privilege, DLA Piper.com (England and Wales), January 15, 2016; Melony Franklin, Privilege Issues for In-House Counsel, Borden Ladner Gerais, June 9, 2011; Paul Dean, The Law of Privilege – Issues for In-house Legal, International Commerce, Holman Fenwick Willan, June 2013; Australian Mining and Smelting Europe Ltd. v. Commission of the European Communities, European Court Reports 1982, Case 155/79, p.1575; Akzo Nobel Chemicals Ltd v. Commission, Court of Justice of the European Union 2010, Case C-550/07, September 14, 2010. But see, Hon. Justice John Gilmour, Legal Professional Privilege: Current Issues and Latest Developments, Law Society of Western Australia seminar, March 13, 2012. Christine Duhaime, Does privilege really prevent lawyers from reporting money laundering, Duhaime’s Anti-Money Laundering Law in Canada, December 30, 2016. Nilam Sharma, UK and US Privilege: Comparison and Contrast, ABA Section of Litigation Insurance Coverage Litigation Committee CLE Seminar, March 3-5, 2011. Australian Mining and Smelting Europe Ltd. v. Commission of the European Communities, European Court Reports 1982, Case 155/79, p.1575. Also see, Akzo Nobel Chemicals Ltd v. Commission, Court of Justice of the European Union 2010, Case C-550/07, September 14, 2010. Paul Stone and Camilla Macpherson, Legal Professional Privilege, DLA Piper.com (England and Wales), January 15, 2016. Akzo Nobel Chemicals Ltd v. Commission, Court of Justice of the European Union 2010, Case C-550/07, September 14, 2010. See, Stephen Scholtz and Anthony Alexander, Legal Privilege: The Unique Challenges and Opportunities Facing Corporate Counsel, Davies Academy, December 7, 2016. Brid Munnelly, Carina Lawlor, Sharon Daly, and Helen Kelly, Akzo Nobel case – privilege does not apply to in house lawyers in EU competition law investigations – European Court of Justice decision, Lexology, October 11, 2010. Statement of the United States Council for International Business: Protecting the Confidentiality of Communications Between a Corporation and a Lawyer Employed by the Corporation, United States Council for International Business, May 24, 2005. 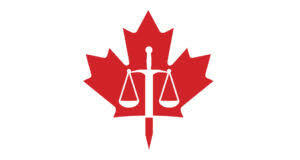 FAQ – Privilege and Confidentiality for In-House Counsel, Canadian Bar Association, cba.org (Q. 15 Are my communications with the in-house counsel of my company’s European subsidiary privileged?). Also see, Markus Koehnen, Privilege Primer: Best Practices for Internal Counsel, McMillan.ca, August 2011. “Given the complexities in this area and the importance of context, it is difficult to provide specific guidance. Advice that is clearly business advice is not protected. Advice “as to what should be done in the relevant legal context” [Samson Indian Band v. Canada, (1995) 125 D.L.R. (4th) 294] is protected. However, there may not always be a clear delineation between “business advice” and “what should be done in the relevant legal context.” At the margins (where the characterization of the advice could go either way), Canadian courts appear to be prepared to find that solicitor-client privilege applies [Reid v. British Columbia (Egg Marketing Board), 2006 BCSC 346 at paras. 13-14] and to protect privilege in cases of “intertwining legal advice with business advice.”[Perimeter Transportation Ltd. v. Vancouver International Airport Authority, 2007 BCSC 1120 at paras. 3, 5]. For government lawyers, the situation is potentially more difficult. As a 2011 discussion paper prepared for the Canadian Bar Association noted, “[t]he distinction between legal and policy advice provided by public sector lawyers is a challenging one? [i]n the public sector, it is difficult to draw a line between what is considered policy and legal advice, as they are often intertwined to the same degree that business and legal advice are in the private sector.”[Adam Dodek, Solicitor-Client Privilege in Canada – Challenges for the 21st Century, Discussion Paper for the Canadian Bar Association, February 2011, at 33-34]. “Because of its interference with the discovery of truth, the operation of the various privileges is carefully scrutinized. Factual information or a document does not become privileged simply by communicating the information or giving the document to a lawyer. For example, if a party enters into a contract and then takes the contract to a lawyer for legal advice, the contract, which exists as a fact, does not become privileged. The lawyer’s advice about the contract, however, may be privileged. Similarly, the financial or operational facts of a business do not become privileged if they are communicated to a lawyer in order to obtain legal advice or to prepare for litigation. Physical evidence of a crime does not become privileged and protected from disclosure by it being delivered to a lawyer, and the lawyer may be liable for the crime of obstruction of justice if he retains and does not disclose the evidence. Further, there is no privilege for acts or transactions. Thus, in Ontario Securities Commission and Greymac Credit Corp., evidence that a lawyer had received and was holding money for the client was not privileged. If the fact is relevant to a proceeding, the name of a client who gives a lawyer instructions to pay or to receive payment of monies is not privileged. Subject to what will be said below about the litigation privilege, the fact that a document was prepared by a lawyer in connection with legal services does not in itself make the document privileged. Thus, in Toronto Dominion Bank v. Leigh Instruments, documents with legal information that had been collected by a bank’s legal department for general reference but not for any specific matter nor for any anticipated or pending litigation were not privileged. The result of Toronto Dominion Bank v. Leigh Instruments shows that the privilege associated with a lawyer’s work product is confined to situations that fully satisfy the constituent elements of lawyer-and-client privilege or of the litigation privilege. Also see, Robert Hubbard, Susan Magotiaux and Suzanne Duncan, Law of Privilege in Canada, 2 volumes looseleaf service since 2006; John Logan and Michael Dew, Overview of Privilege and Confidentiality, Continuing Legal Education Society of British Columbia, June 2011. Paul Stone and Camilla Macpherson, Legal Professional Privilege, DLA Piper.com (England and Wales), January 15, 2016; Legal professional privilege for in-house lawyers: toolkit (UK), Practical Law Dispute Resolution, Thomson Reuters (uk.practicallaw.thomsonreuters.com); Bankim Thanki QC, editor, The Law of Privilege, Second edition, 2011. Leneen Forde, Legal Professional Privilege Clarified for In-House Lawyers, LinkedIn, May 8, 2017; Hon. Justice John Gilmour, Legal Professional Privilege: Current Issues and Latest Developments, Law Society of Western Australia seminar, March 13, 2012; Dr. Ronald J. Desiatnik, Legal Professional Privilege in Australia, Third Edition, 2016; Cargill Australia Ltd v Viterra Malt Pty Ltd and Ors,  VSC 126 (Victoria Supreme Court, Australia). Presnell on Privileges: latest developments on evidentiary privileges for corporate and outside counsel, presnellonprivileges.com; McGuire Woods Privilege Points, mcguirewoods.com; Sterling Miller, Ten Things: The Attorney-Client Privilege – What You Need to Know, SterlingMiller2014.wordpress.com, September 30, 2015; Legal Privilege, Norton Rose Fulbright.com [http://www.nortonrosefulbright.com/knowledge/technical-resources/legal-privilege/]. Also see, Jennifer Williams-Alvarez, ACC Joins Amicus Brief on Case That May ‘Undermine’ In-House Counsel’s Ability to Function, Corporate Counsel, June 9, 2017. Statement of the United States Council for International Business: Protecting the Confidentiality of Communications Between a Corporation and a Lawyer Employed by the Corporation, United States Council for International Business, May 24, 2005. Also see, Leneen Forde, Legal Professional Privilege Clarified for In-House Lawyers, LinkedIn, May 8, 2017; Cargill Australia Ltd v Viterra Malt Pty Ltd and Ors,  VSC 126 (Victoria Supreme Court, Australia). Brid Munnelly, Carina Lawlor, Sharon Daly, and Helen Kelly, Akzo Nobel case – privilege does not apply to in house lawyers in EU competition law investigations – European Court of Justice decision, Lexology, October 11, 2010; Stephen Scholtz and Anthony Alexander, Legal Privilege: The Unique Challenges and Opportunities Facing Corporate Counsel, Davies Academy, December 7, 2016; Andrew Wilkinson, The Law of Privilege in Canada, McCarthy Tetrault, April 13, 2011; Melony Franklin, Privilege Issues for In-House Counsel, Borden Ladner Gerais, June 9, 2011. Melony Franklin, Privilege Issues for In-House Counsel, Borden Ladner Gerais, June 9, 2011. 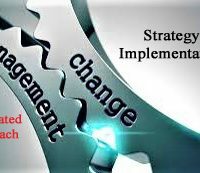 David B.Wilkins, The In-House Counsel Movement, Metrics of Change, Legal Business World, January 20, 2017. Also see, FAQ: Privilege and Confidentiality for In-House Counsel, Canadian Bar Association – Canadian Corporate Counsel Association, 2012 (see Q. 15. Are my communications with the in-house counsel of my company’s European subsidiary privileged? ); Jennifer Williams-Alvarez, ACC Joins Amicus Brief on Case That May ‘Undermine’ In-House Counsel’s Ability to Function, Corporate Counsel, June 9, 2017; Antonio, Di Domenico, Privilege, In-House Counsel and the Multi-Jurisdictional Practice of Competition Law: Why your Internal Communications may be at Risk, Fasken.com, October 22, 2010; Legal Privilege, Bennett Jones, November 2014 (Canada); Profession of Company Lawyers in Europe: Legal Professional Privilege, European Company Lawyers Association (ecla.org). Also see, Leneen Forde, Legal Professional Privilege Clarified for In-House Lawyers, LinkedIn, May 8, 2017; Cargill Australia Ltd v Viterra Malt Pty Ltd and Ors,  VSC 126 (Victoria Supreme Court, Australia). Three Rivers DC v. Bank of England (No. 6),  UKHL 48, para. 34. Also see, Statement of the United States Council for International Business: Protecting the Confidentiality of Communications Between a Corporation and a Lawyer Employed by the Corporation, United States Council for International Business, May 24, 2005. In-house Counsel and the Attorney-Client Privilege (Canada – Federal), Lex Mundi Publication, 2009. David B.Wilkins, The In-House Counsel Movement, Metrics of Change, Legal Business World, January 20, 2017. Also see, FAQ: Privilege and Confidentiality for In-House Counsel, Canadian Bar Association – Canadian Corporate Counsel Association, 2012 (see Q. 15. Are my communications with the in-house counsel of my company’s European subsidiary privileged? ); Jennifer Wiliams-Alvarez, ACC Joins Amicus Brief on Case That May ‘Undermine’ In-House Counsel’s Ability to Function, Corporate Counsel, June 9, 2017; Antonio, Di Domenico, Privilege, In-House Counsel and the Multi-Jurisdictional Practice of Competition Law: Why your Internal Communications may be at Risk, Fasken.com, October 22, 2010; Legal Privilege, Bennett Jones, November 2014 (Canada); Profession of Company Lawyers in Europe: Legal Professional Privilege, European Company Lawyers Association (ecla.org). David B.Wilkins, The In-House Counsel Movement, Metrics of Change, Legal Business World, January 20, 2017. Professor Stephen Bainbridge, Remarks on In House Counsel as Gatekeepers, Professor Bainbridge.com, October 4, 2011. 4 Ways Boards Can Improve Relations with the General Counsel, Boardroom Resources, 2016; Ben Heineman Jr., The Inside Counsel Revolution: Resolving the Partner-Guardian Tension, 2016. Episode Summary, Challenges of the GC and Corporate Secretary: Recognizing Red Flags, Boardroom Resources, 2017. Derek Hayes, How Do Ethical Standards Apply to In-House Counsel, Canadian Centre for Ethics and Corporate Policy, 2002. Also see: Jennifer Wiliams-Alvarez, ACC Joins Amicus Brief on Case That May ‘Undermine’ In-House Counsel’s Ability to Function, Corporate Counsel, June 9, 2017. Martin Meredith and Sascha Hindmarch, Keeping the ‘House’ Ethically ‘Clean’, Law Society of South Australia, October 2014. Law Society of Upper Canada, Rules of Professional Conduct (Ontario). Also see, Federation of Law Societies of Canada, Model Code of Professional Conduct. Law Society of Upper Canada, Rules of Professional Conduct, Rule 2.1-1. Law Society of Upper Canada, Rules of Professional Conduct, Commentary 4.1 to R. 2.1-1. Law Society of Upper Canada, Rules of Professional Conduct, Rule 3.2-2. Law Society of Upper Canada, Rules of Professional Conduct, Commentary 2 to R. 3.2-2. LSUC, Rules of Professional Conduct, Rule 3.2-3 (added in 2004). Law Society of Upper Canada, Rules of Professional Conduct, Commentary 1 to R. 3.2-3. LSUC, Rules of Professional Conduct, Rule 3.4-1. LSUC, Rules of Professional Conduct, Rule 3.2-7. “Knowingly” – held to require proof of actual knowledge, recklessness, or willful blindness, which is a high level of culpability. Law Society of Upper Canada, Rules of Professional Conduct, Commentary 1 to R. 3.2-7. LSUC, Rules of Professional Conduct, Rule 3.2-7.1. LSUC, Rules of Professional Conduct, Rule 3.2-8. LSUC, Rules of Professional Conduct, Rule 3.2-8; LSUC, Rules of Professional Conduct, Commentary 1, 3, 5 and 6 to R. 3.2-8. 3.7-8 When a lawyer withdraws, the lawyer shall try to minimize expense and avoid prejudice to the client and shall do all that can reasonably be done to facilitate the orderly transfer of the matter to the successor legal practitioner. LSUC, Rules of Professional Conduct, Rule 3.2-8; LSUC, Rules of Professional Conduct, Commentary 4 to R. 3.2-8. Julie Sobowale, In-house whistleblowing: Where do your loyalties lie?, CBA National CCCA Magazine, Winter 2015. Richard Moorhead, Cristina Godinho, Steven Vaughan, Paul Gilbert, Stephen Mayson, Mapping the Moral Compass: relationships between in-house lawyers’ role, professional orientations, team cultures, organisational pressures, ethical infrastructure and ethical inclination, Centre for Ethics and Law (Ethical Leadership for In-House Lawyers Initiative), June 2016. (4) to secure legal advice about the lawyer’s compliance with these Rules; …. Jordan Thomas believes that whistleblowers should be protected. As one of the lawyers who helped develop the Securities and Exchange Commission (SEC) Whistleblower Program, he believes that the U.S. has a strong duty to protect the public from economic harm. “A sensible starting point is to ensure that the profession’s own ethical framework reflects the modern reality of practice. When one teases out in-house legal ethics, and the way in which in-house lawyers should behave and be held accountable, much is assumed but with very little either by way of case law example or regulation underpinning the assumptions. That, itself, creates its own dilemma and tension. are some obvious examples that are either deficient or non-existent when it comes to the Conduct Rules. There should be no ambiguity around these and other issues as to what are an in-house lawyer’s duties. Other jurisdictions (notably the UK, US and Canada) have adapted, or have attempted to do so, to the different ways law is practised today by reflecting this in their Conduct Rules. Guidance for In-House Counsel on Ethical Decision Making, Australian Corporate Lawyer’s Association, 2013. Andrew Fleming, Marlo Kravetsky, Andrew Matheson and Sarah Shody, Professional & Ethical Obligations of In-House Counsel in the Securities Industry, Powerpoint Presentation, ACC. 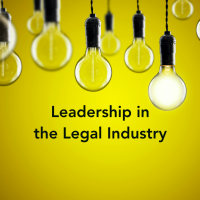 Karen Deuschle, Chief Legal Officers Survey results reveal CLO’s biggest concerns, Thomson Reuters, 2017; ACC Chief Legal Officers 2017 Survey, ACC.com (Association of Corporate Counsel), January 2017. Cheryl Foy, In-house counsel wanted: lawyers without courage need not apply, Canadian Lawyer, February 25, 2013. Also see, Martin Meredith and Sascha Hindmarch, Keeping the ‘House’ Ethically ‘Clean’, Law Society of South Australia, October 2014. Tom Brennan and Jessica Seah, GSK Case Raises China In-House Questions, The Asian Lawyer, July 29, 2013. Susan Bennett, In-house Counsel and Privilege: 10 Tips, Sibenco.com, Sydney NSW, Australia. Markus Koehnen, Privilege Primer: Best Practices for Internal Counsel, McMillan.ca, August 2011; Sterling Miller, Ten Things: The Attorney-Client Privilege – What You Need to Know, SterlingMiller2014.wordpress.com, September 30, 2015; Susan Bennett, In-house Counsel and Privilege: 10 Tips, Sibenco.com, Sydney NSW, Australia; Andrew Shute and Matthew Payten (Australia), In-house counsel update: legal professional privilege – independence declines and the purposes dominates, Lexology, June 30, 2015. Alison Bost and Shawn Haque, An In-house Counsel’s Guide to Protecting the Attorney-Client Privilege, ACC Docket, ACC.com, March 18, 2016. Melony Franklin, Privilege Issues for In-House Counsel, Borden Ladner Gerais, June 9, 2011 (citing UK’s Alfred Crompton Amusement Machines Ltd. v. Commissioners of Customs and Excise (No. 2),  2 Q.B. 102, affd. A.C. 405 (H.L. )).